I got bad with the blogging last week, as I felt (and still feel) there hasn't been much to blog about. But the longer I let it lay the worse picking it up the habit will be. I've been working on the diffuse a bit. I'm using Photoshop and 3D Coat and switching back and forth between them. I've never proper used 3D coat before, but it's been very easy to get a handle on it. Especially the ability to seamlessly toss the texture back and forth between 3D Coat and Photoshop with no faff at all is just fantastic and super useful. 3D coat also has a functionality where you can export a screenshot from 3D Coat to Photoshop, paint on top of the screenshot in Photoshop, and then 3D Coat will take the screenshot and project your painting onto the model. I found it really helped me in the initial stage, especially for the face. 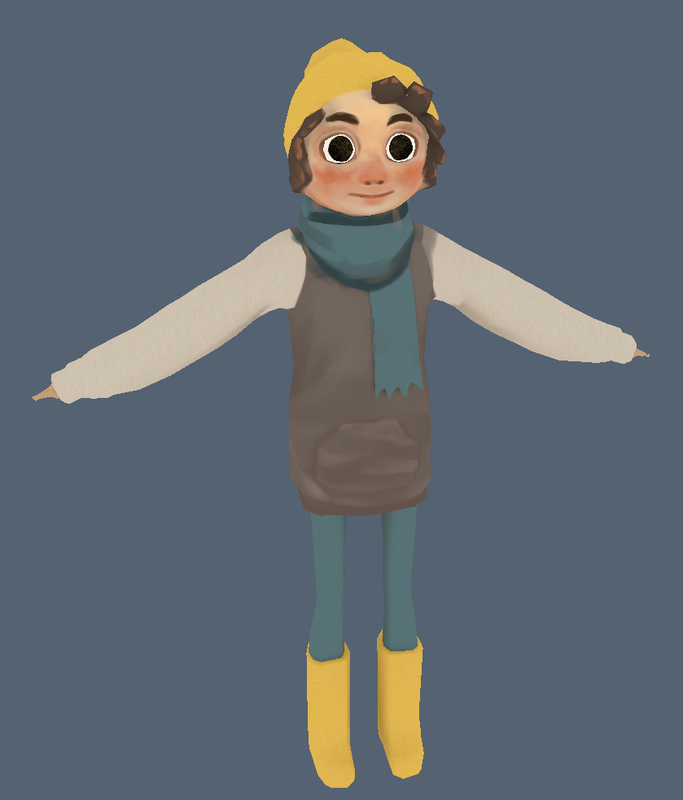 I had an initial pass at attempting to texture the character with watercolours, but it didn't work out very well. I will attempt emulating it digitally instead, once I've got the colours down. I'm going to start building the tube station, so I've been trying to plan it, working on top of the whitebox. 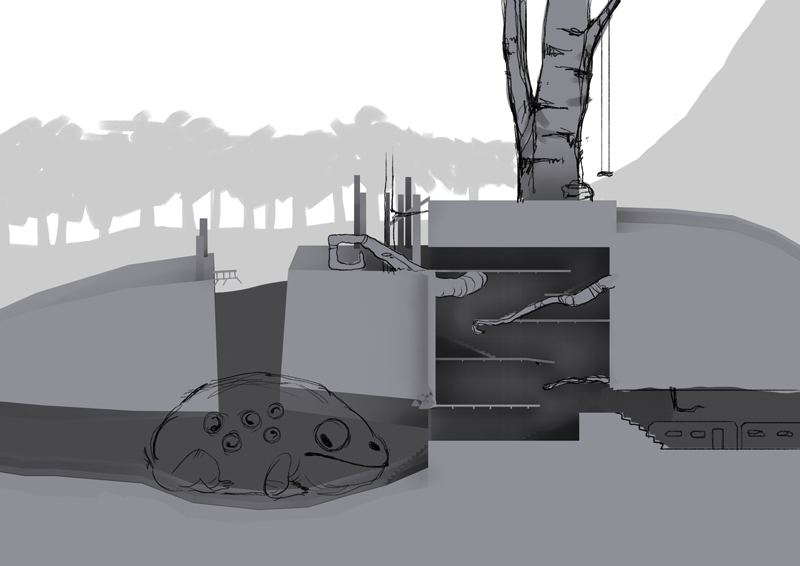 I realise that some spaces in the whitebox are just way too vast, like that cave, and I'm going to adjust it a bit. The main reason for my silence is that I'm working on a 16 page comic for a western anthology to be published back in my home country this summer. I needed to get two pages done by today and it sucked up a lot of my time, but from here on, I should be able to combine working on the two a lot more effectively. 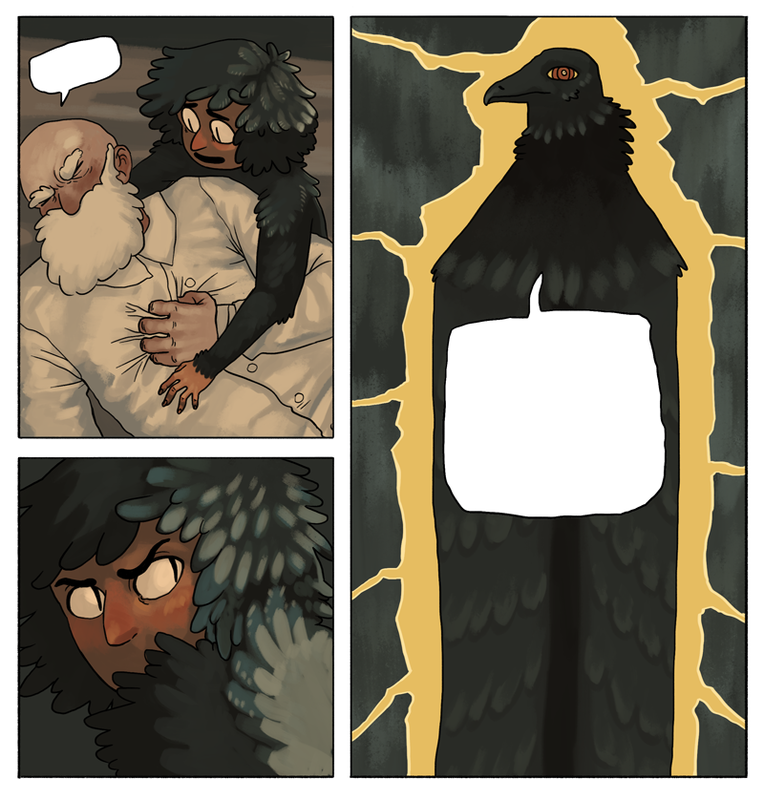 Here are a couple of panels.